Not to go all coach speak on you, but in big-time games big-time players need to make big-time plays. Here are five from each side that need to come up the biggest in the Nebraska-Oregon game. 1. 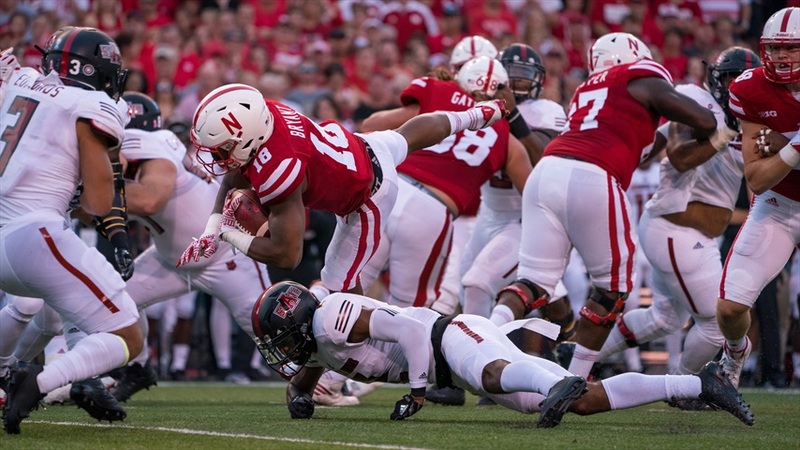 S Joshua Kalu: Nebraska's best defender will get a different challenge this week. Arkansas State did a good job of minimizing Kalu's impact, but he still had six tackles (four solo) and an interception. 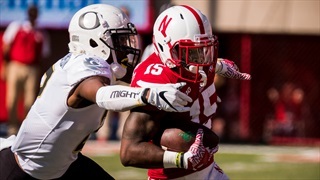 Against Oregon, Kalu will be a key piece in the Huskers' run defense. 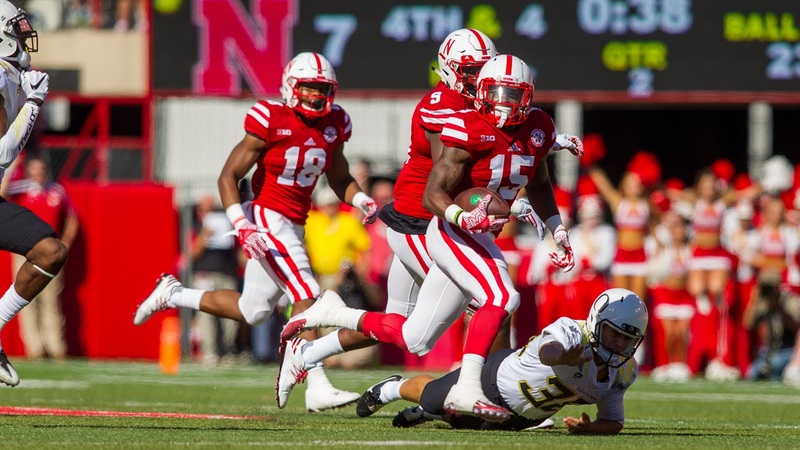 The more of last week's Tre Bryant the Huskers get this week, the better off they'll be. 2. RB Tre Bryant: We'll see if the Huskers split up the carries a little more evenly, but Bryant got almost all of them last week. Nebraska will have to have some success running the ball. It probably won't outpace the Ducks' running game, but it needs to be efficient. If Bryant puts together back-to-back big weeks, the Huskers should have a chance to keep Oregon off the field to a degree. 3. LB Luke Gifford: Pick any of Nebraska's linebackers, really. They're going to be crucial in this game, but I'll highlight Gifford. Last week he looked like a guy the Huskers couldn't afford to take off the field, and that was in his first game as a 3-4 outside linebacker. Oregon's a different animal, however. Expect the Ducks to test him early. 4. DT Mick Stoltenberg: Big Mick had his way with Arkansas State's center, but the Red Wolves didn't really force the issue in the run game. The Ducks will, so this will be Stoltenberg's first big test at his new position. Can he be right more often than not? I think Nebraska will have a good plan in place to defend Oregon, but it's going to require excellent execution, and a lot of that starts with how well Stoltenberg plays up front. De'Mornay Pierson-El's punt return against the Ducks last year swung the game. Nebraska might need another one in Eugene. 5. WR De'Mornay Pierson-El: Stanley Morgan Jr. had a great game in week one. If he's to have another one, Nebraska might need a little more production from Pierson-El. If he's able to relieve the pressure and make a handful of plays, the Huskers are tougher to defend overall. This is one of the two biggest road games in Pierson-El's senior year. Nebraska needs a big game from him, and if part of that contribution comes on special teams, even better. Now for the Oregon perspective, we turn to Justin Hopkins of ScoopDuck.com. 1. DT Jordon Scott/Austin Faoliu: The two true freshmen split time in week one against Southern Utah. Both did a strong job, but that was Southern Utah and Nebraska will be much more physical. Stopping or at least slowing down Nebraska's rush attack will be a major key to Oregon's overall success on defense and in this game. It will all start with Scott and/or Faoliu plugging up the middle. 2. TE Jacob Breeland: There isn't a doubt in my mind Oregon will lean on the run game heavily in this game. Both teams will. But it will be paramount for Oregon to keep Nebraska somewhat honest with the threat of a pass game. Last week Breeland got in the game and Herbert immediately looked his direction. Oregon is going to need a lot more of that from him, along with good blocking in order to stretch Nebraska's defense. 3. S Tyree Robinson: Oregon will have one of its senior leaders back in the secondary this week. It will be a welcome sign for many Oregon fans. Nebraska has some talent at receiver that will test the corners and safeties. There is no question Ugo Amadi and Arrion Springs need to play well, but Robinson has to keep everything in front of him. If he allows Pierson-El or Stanley Morgan Jr. to get behind him, it could spell trouble for the Ducks. 4. C Jake Hanson: Oh, I'm aware the entire offensive line needs to play well in this one. But most notably it will really fall on Jake Hanson who will face a tall order in defensive tackle Mick Stoltenberg. Just as Oregon will need Scott and/or Faoliu to push the Nebraska offense, Nebraska needs Stoltenberg to do the same on Oregon's O. This is where Hanson will need to hold the point of attack and give this offense enough time to let the play develop. 5. OLB/DE Justin Hollins: I could easily list Troy Dye, Justin Herbert and Royce Freeman and no one would argue. But those are easy calls. I listed Hollins as Oregon needs to generate some form of a pass rush in this one. Someone has to get to Tanner Lee and not let him get comfortable in the pocket. That will disrupt the entire Nebraska offense. I list Hollins as he's Oregon's best pass-rush threat, but they just need someone to step up and create pressure.